Below is a map of the proposed Kinder Morgan Pipeline through the Lynnfield Center Water District area. 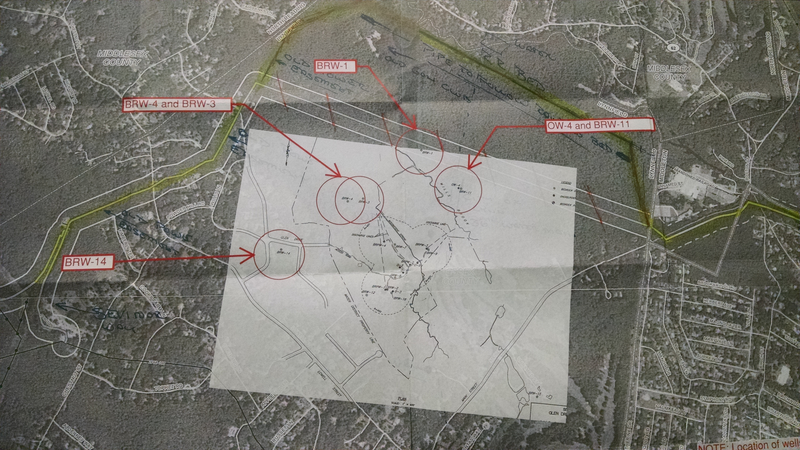 The red circles are potential sites for future wells as the town grows. The white lines are where the pipeline is targeted to be placed. The Center Water District has met with Kinder Morgan and is working to move the pipeline further away from our current and future wells. Selectman Terranova has held several community meetings regarding the pipeline and our Board of Selectman are coordinating efforts with the Water District to move the pipelines further away from our present and future wells. If you are concerned about the pipeline and how it affects you, please contact your state and federal elected officials or FERC.